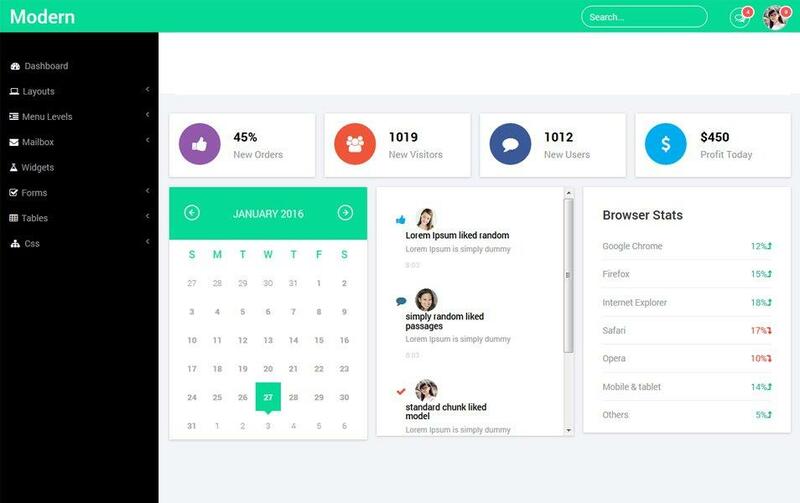 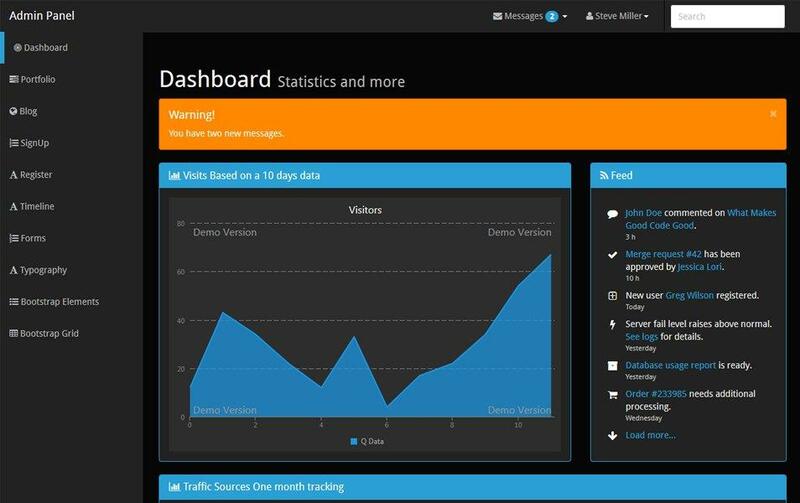 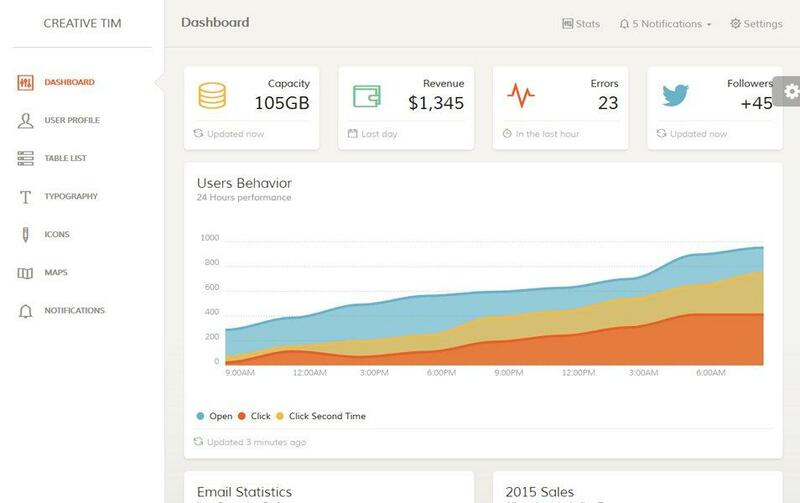 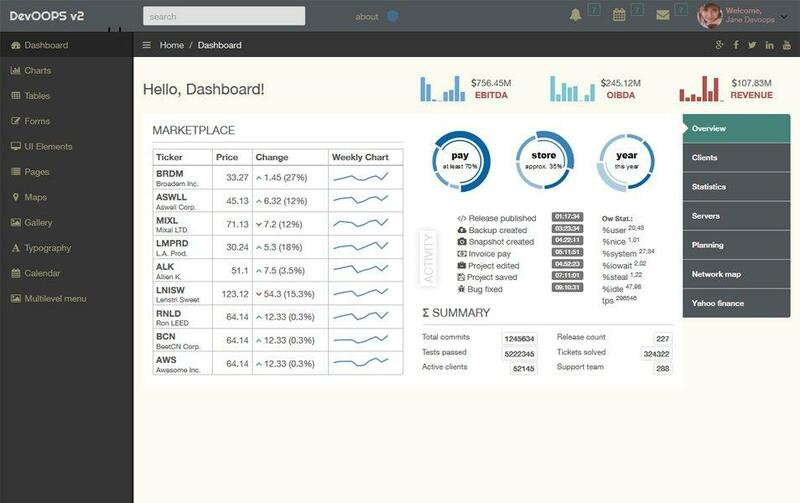 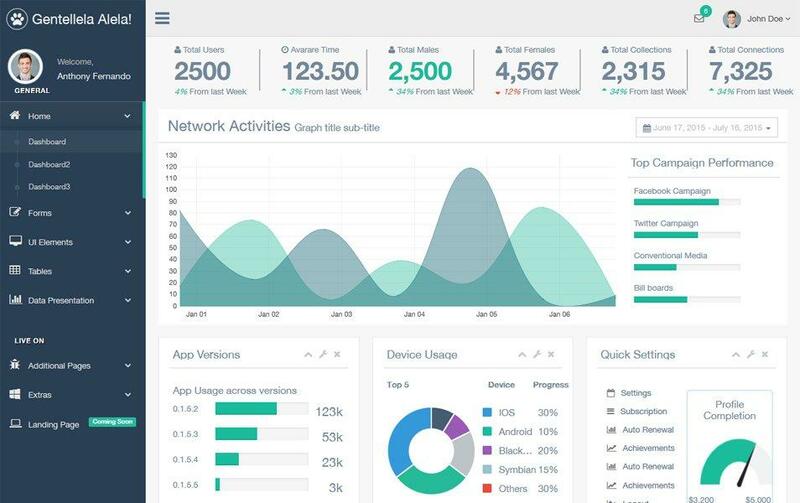 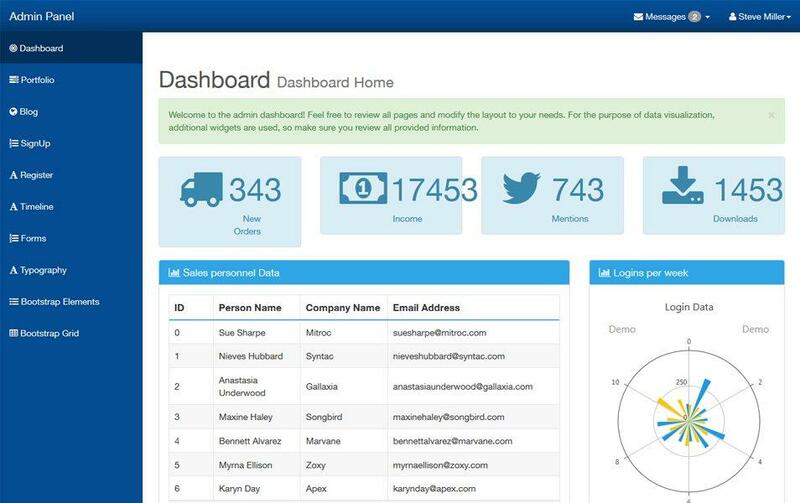 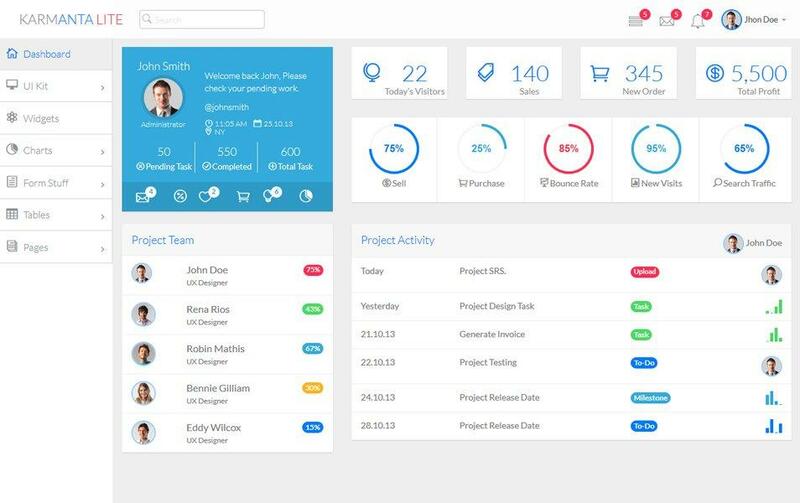 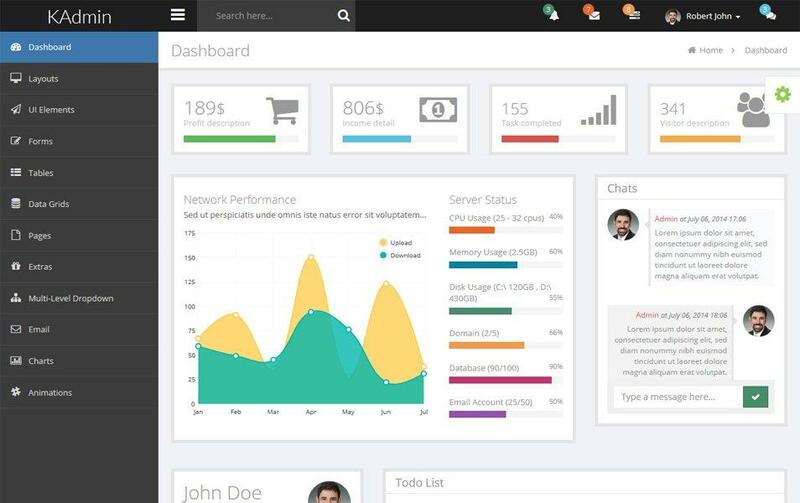 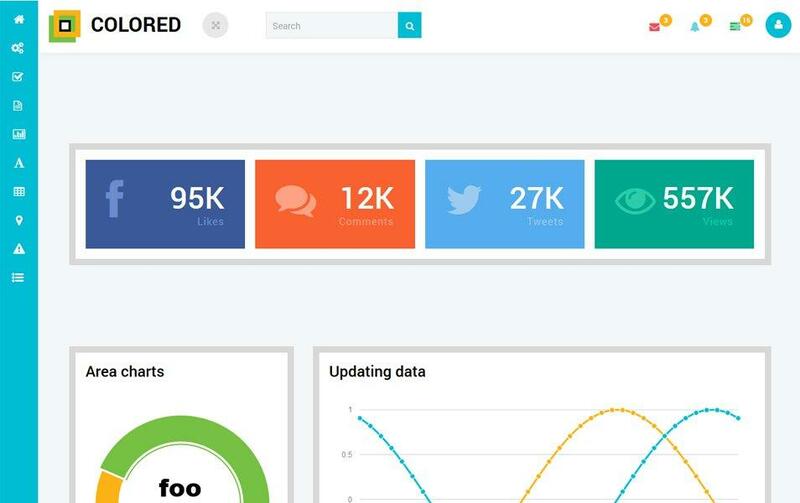 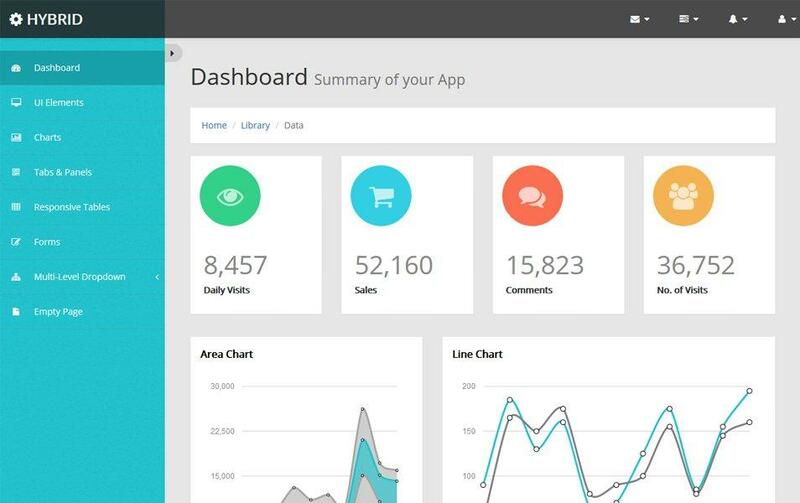 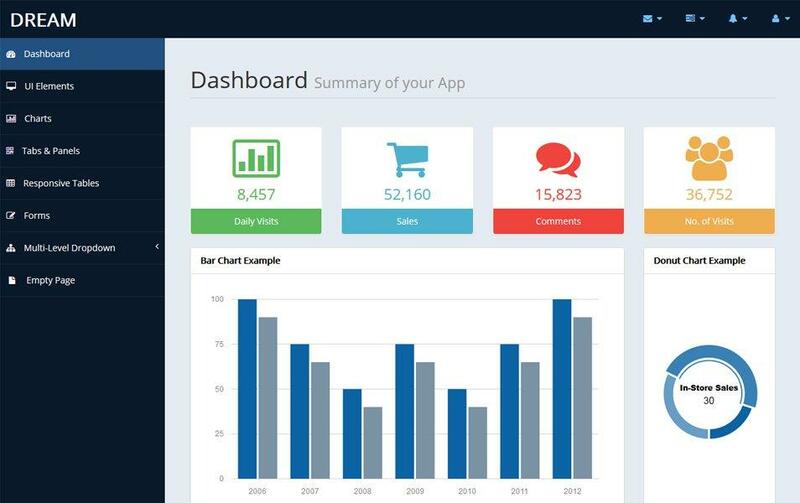 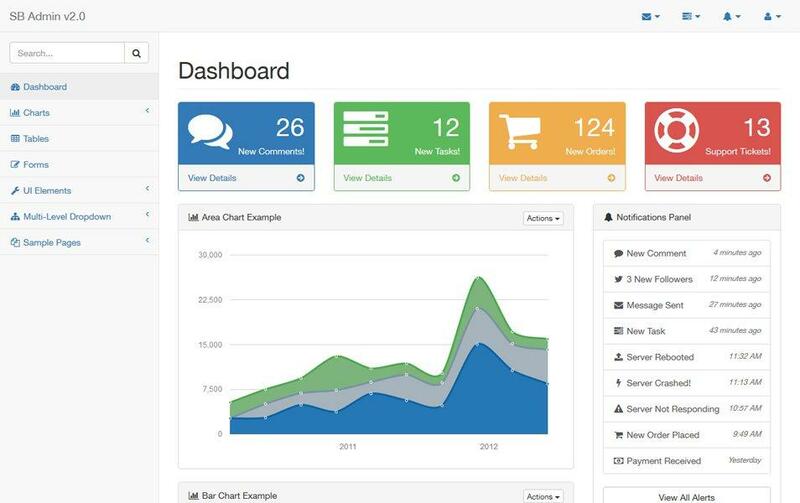 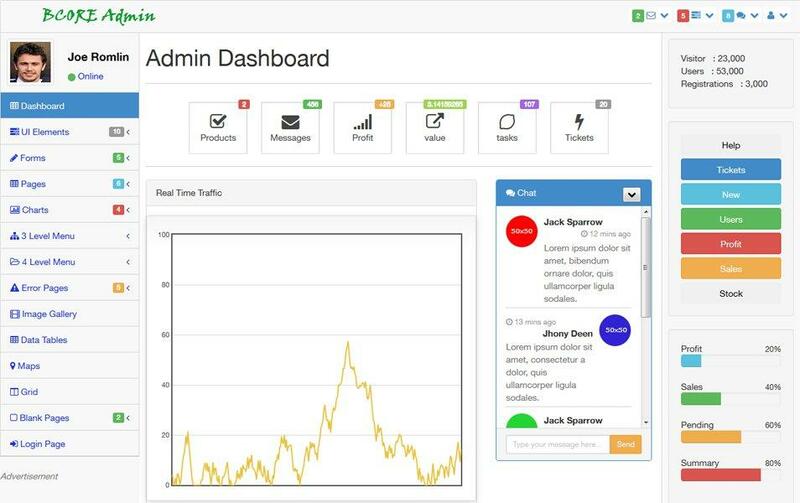 Dashboard or Admin Panel is an essential part of web based app. 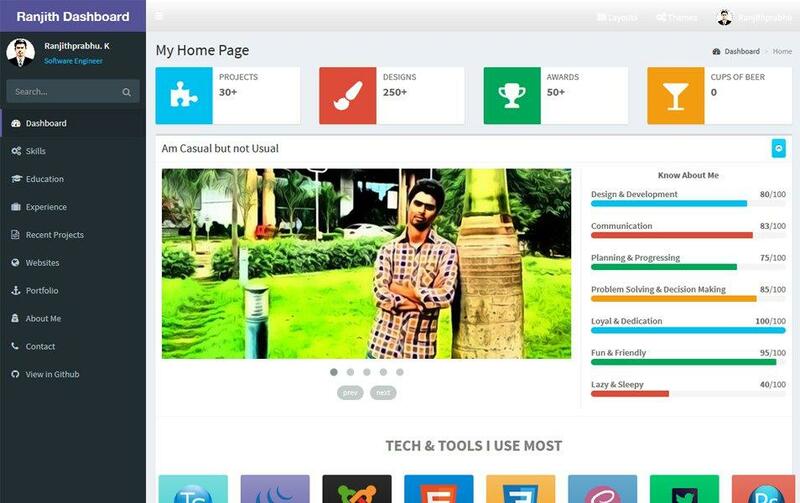 The main purpose of admin page is to help user to manage their account preferences. 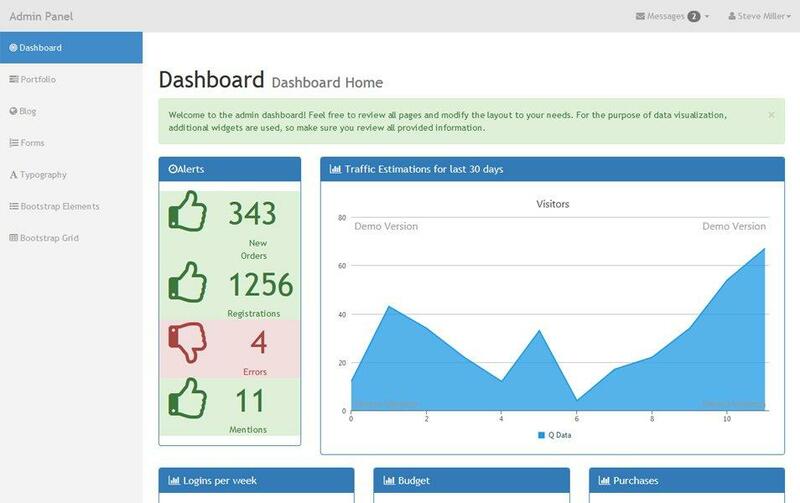 The user interface of admin dashboard must be clean, easy to use and navigate. 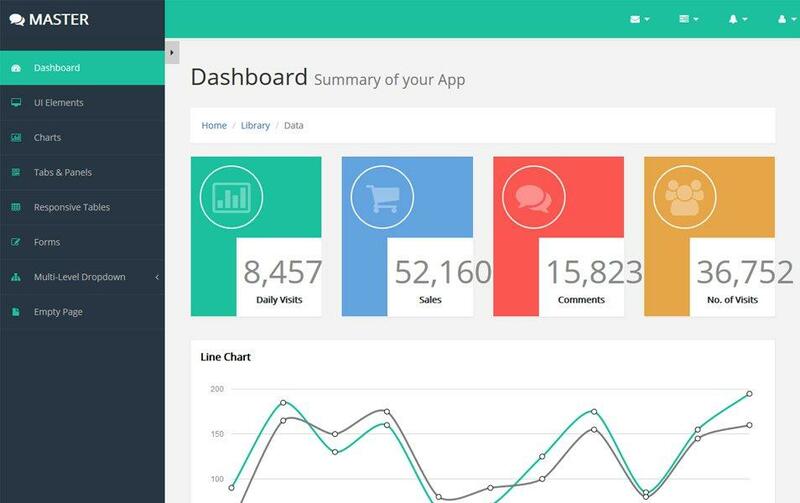 A bad designed admin UI will make your apps abandoned and forever forgotten. 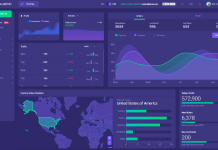 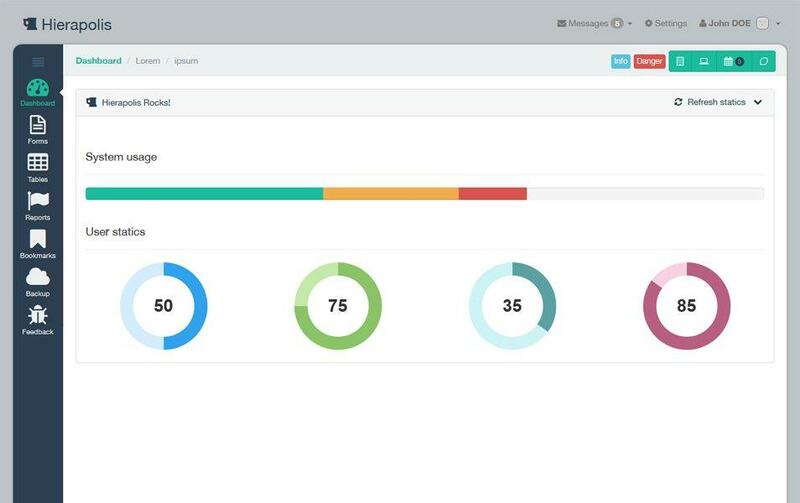 To design a great dashboard UI, you can use a bootstrap admin templates that designed for both desktop and mobile users. 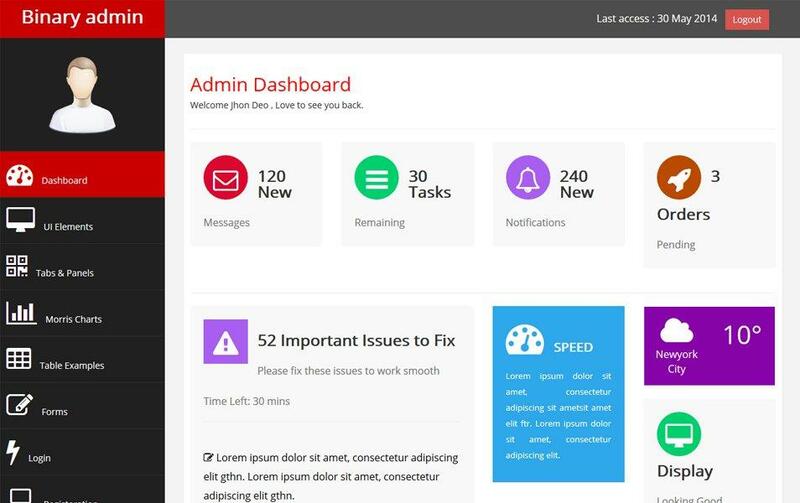 There are several admin templates on the internet which can be downloaded for free. 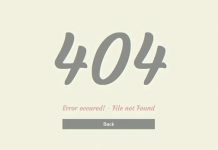 but finding the best one is difficult task. 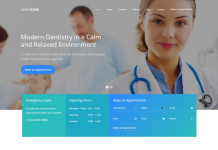 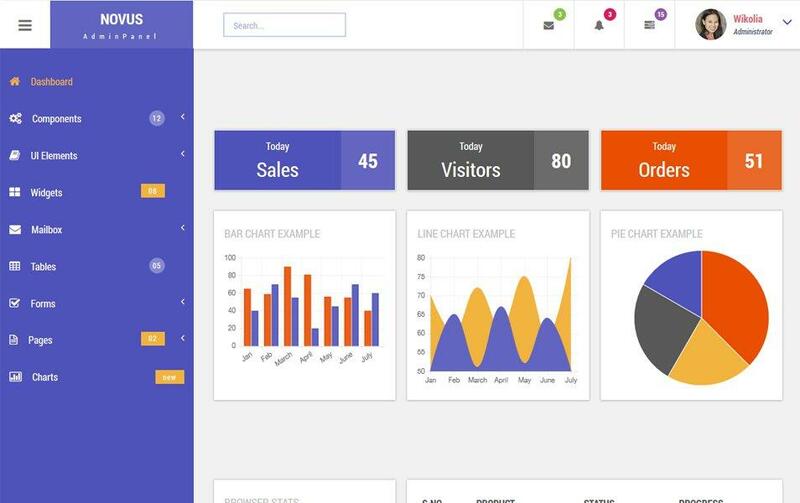 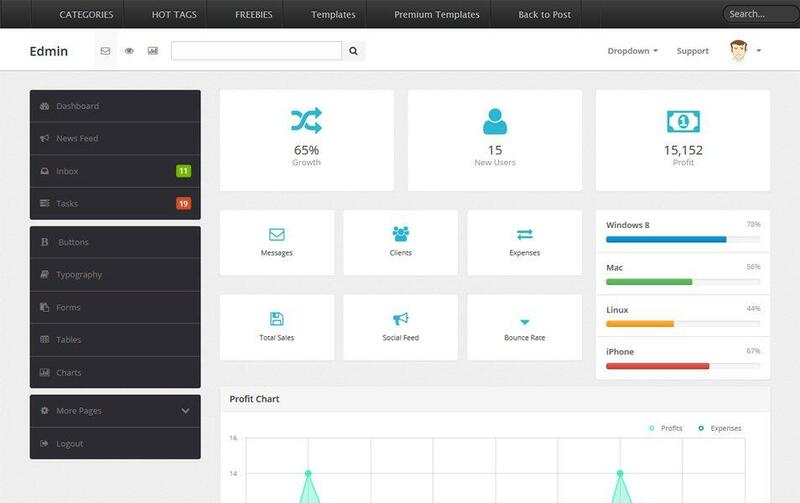 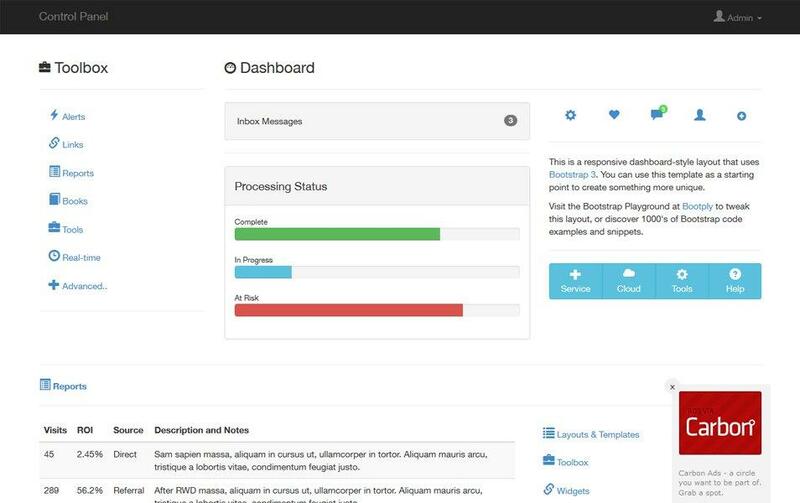 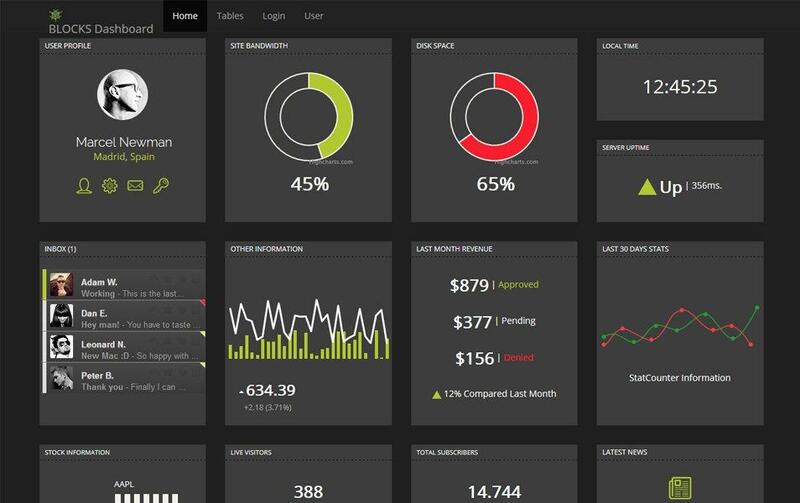 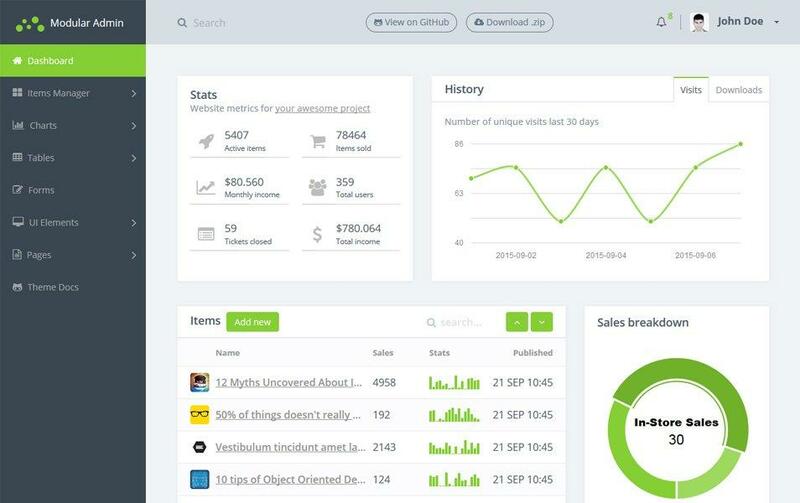 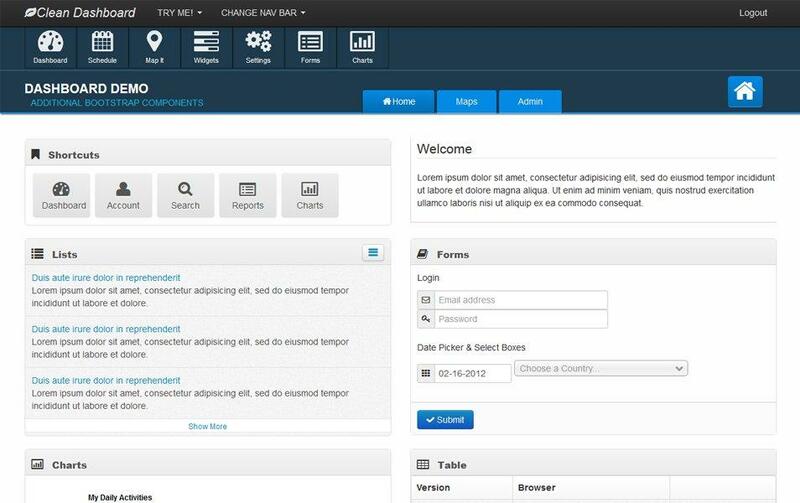 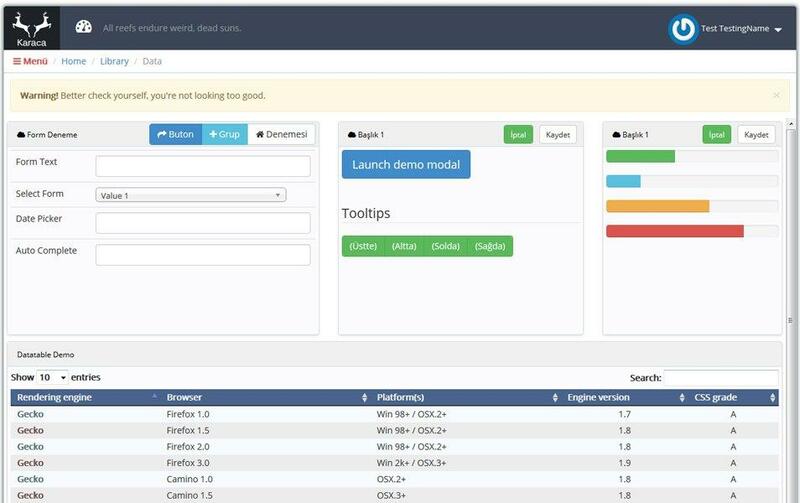 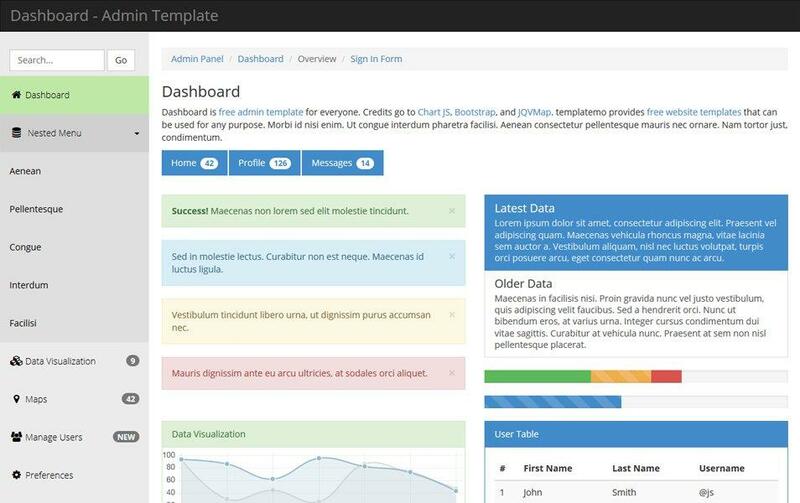 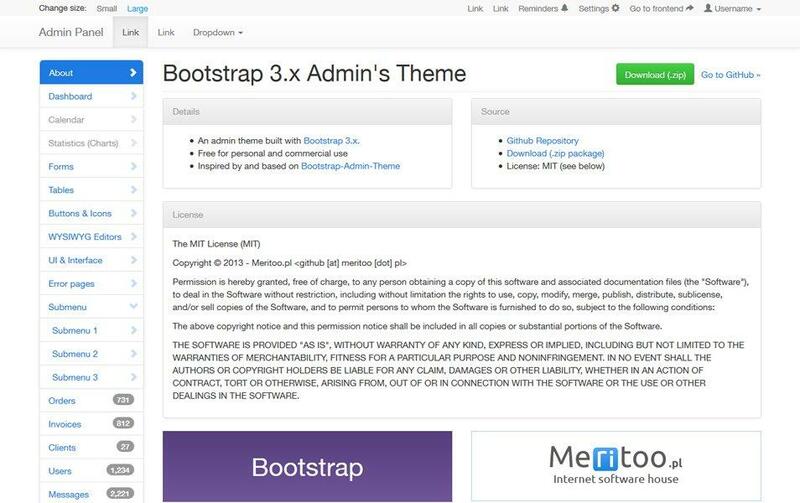 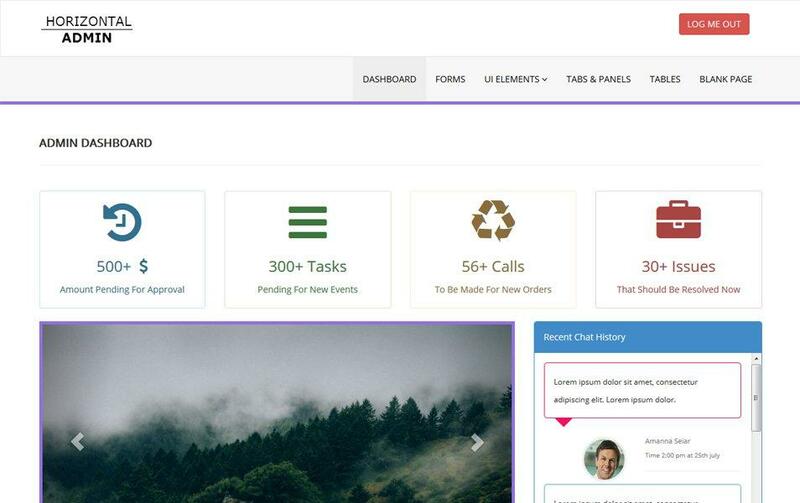 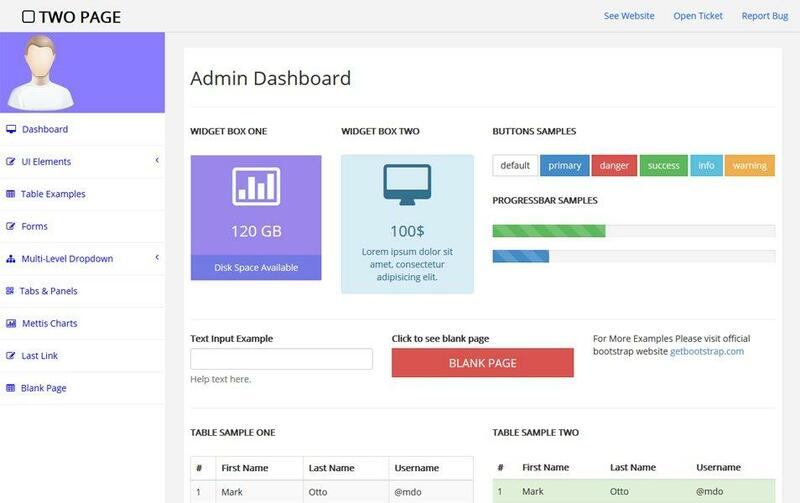 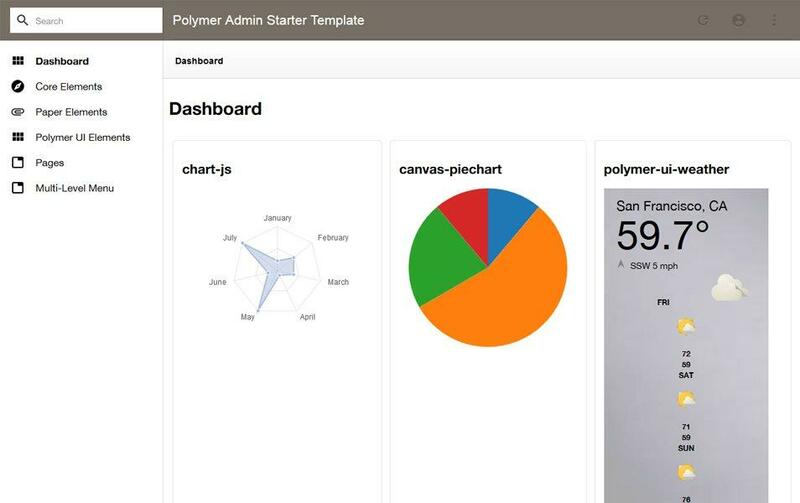 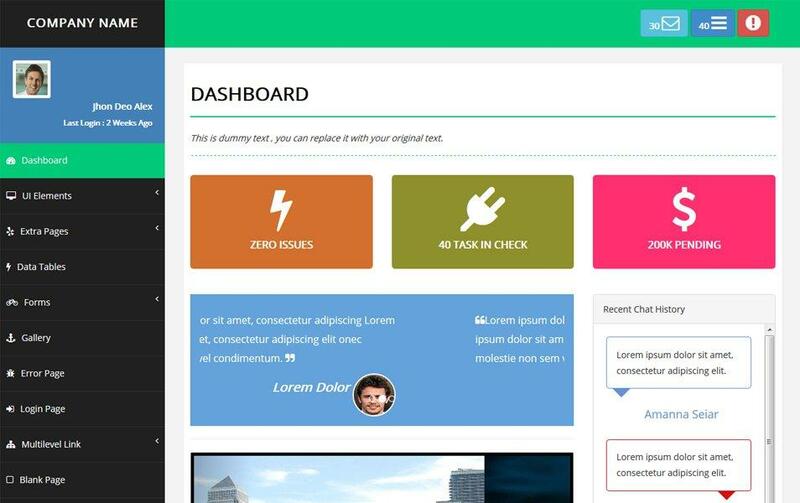 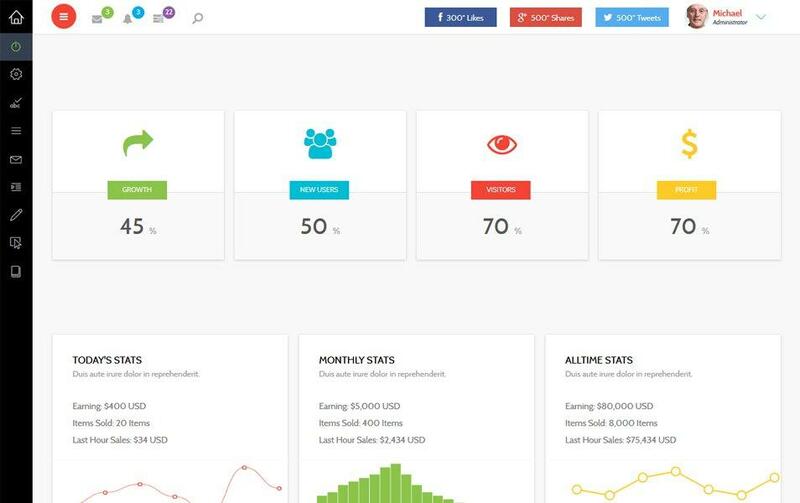 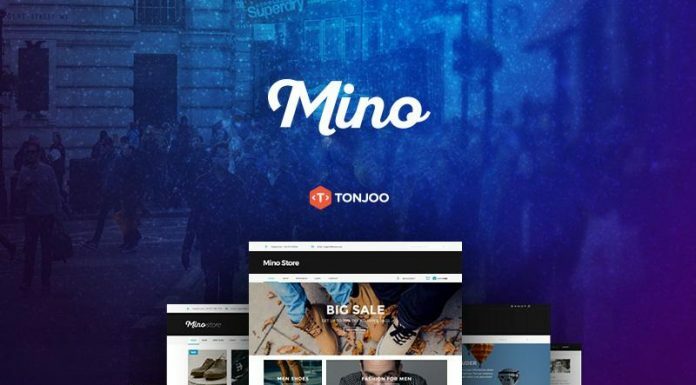 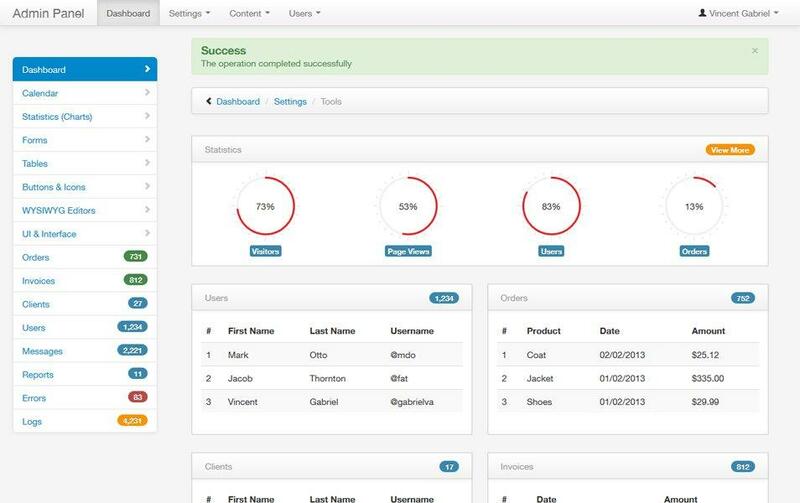 In this article we are going to share 20 free bootstrap admin templates. 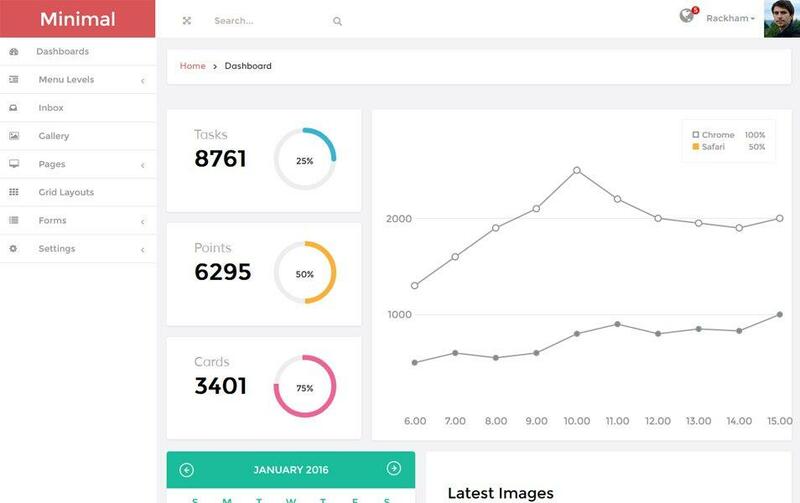 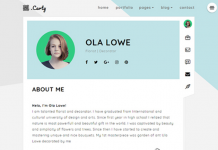 You can pick a template suitable and fit according to your app branding design. 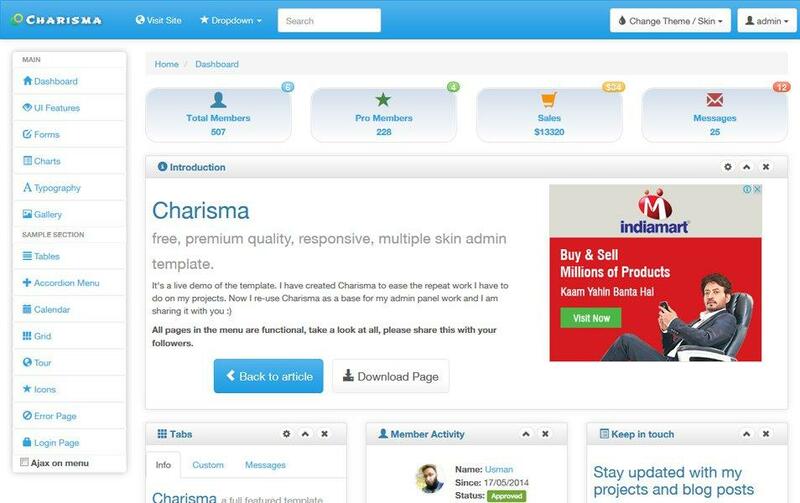 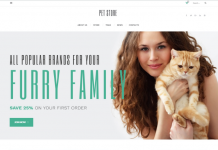 All the templates are well-coded, can be customized and utilized to fit your apps requirement. 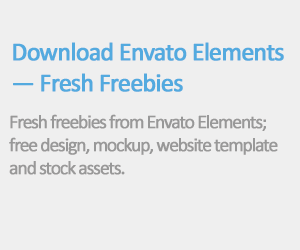 Subscribe to our mailing list and get free templates and updates to your email inbox. 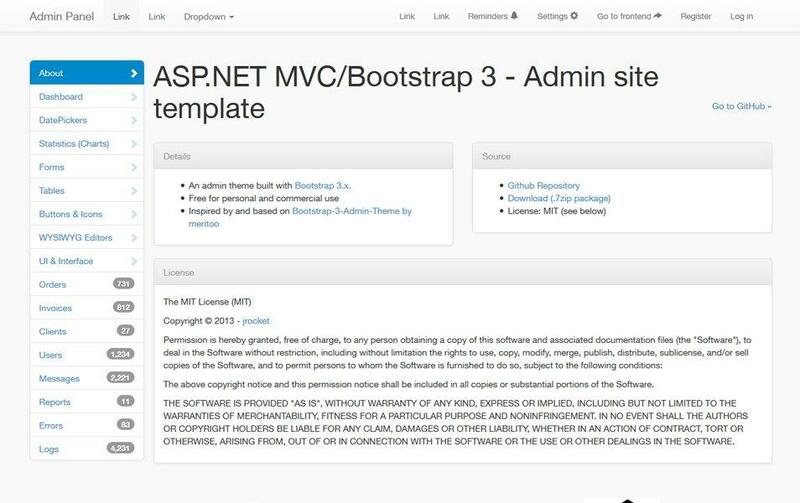 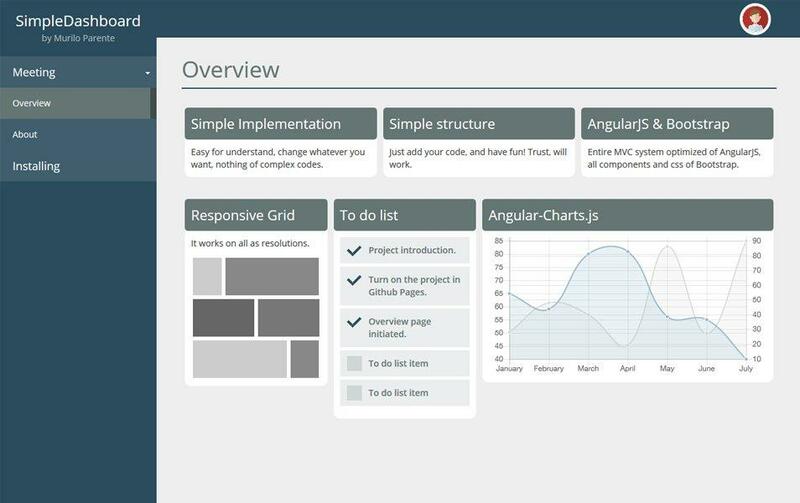 UTemplates.net is a place where you can download free templates for different types of project. 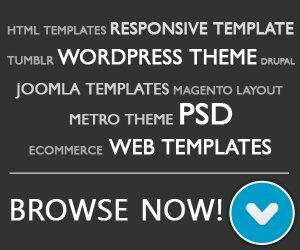 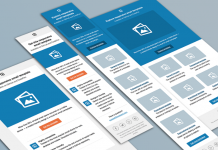 We offer a wide variety of high quality, unique and updated templates to suit your needs.